Hey guys! Well unless you're living under a rock, I am sure you have heard about the Nordstrom Anniversary sale starting! Early access that is! Starting today, through the 19th, all Nordstrom card holder have access to start shopping the sale before the general public! I LOVE that Nordstrom gives their loyal customers this special opportunity to shop early! Anyway, if you do not have a card, you can sign up here and begin shopping this fab sale NOW! 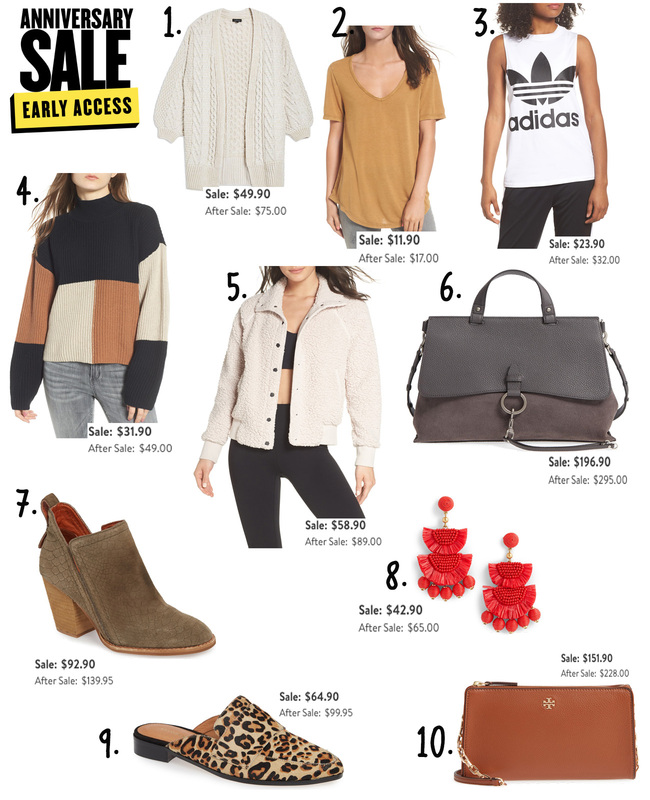 I went ahead and rounded some of my faves from the sale so far! These deals are amazing so be sure and take advantage before prices go up August 6th! I wanted to add in this little calendar for the sale! 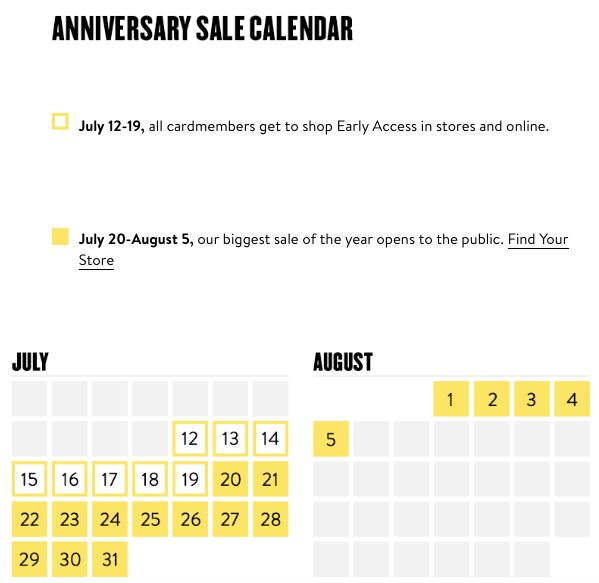 Today through the 19th all Nordstrom cardholders can get early access to shop! From the 20th-August 5th the sale is open to everyone-cardholders and non cardholders!